It is seminar season again back at Polytechnic University of the Philippines - Manila as senior students from the CBA Marketing Department of different classes conducts a variety of seminars for everybody to attend and to learn from. 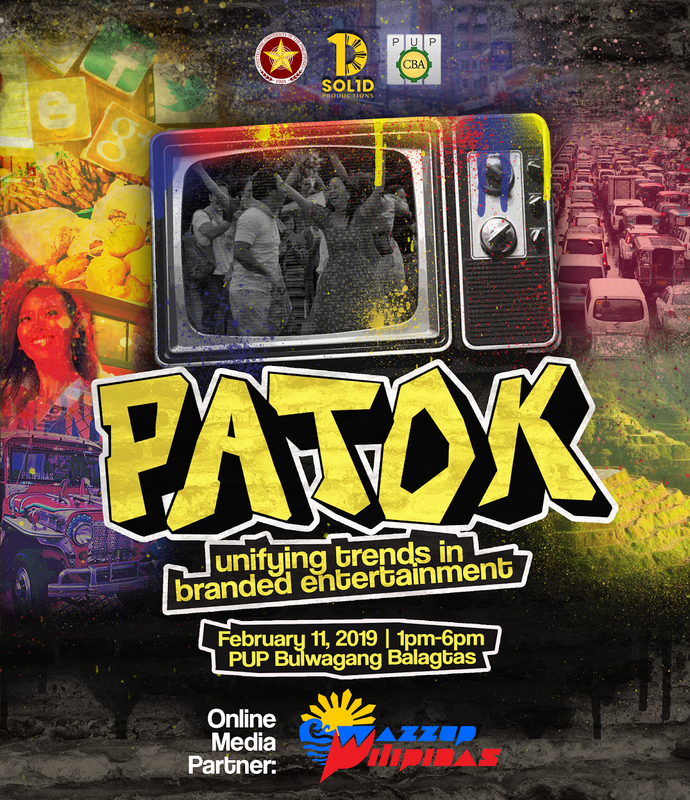 First to conduct their seminar is SOL1D Productions which proudly brings “PATOK: Unifying Trends in Branded Entertainment” happening this February 11, 2019 to be held at PUP Manila, Bulwagang Balagtas. The said seminar will tackle four different topics which are Influencer Marketing, Sustainable Marketing, Brand Case Study, and Individual Marketing that are relevant in today’s Branded Entertainment. Seminars are also made to be informative, educational, and inspirational therefore, the four different interesting topics mentioned will be discussed by four different people who aim to exactly give those characteristics. First we have Ms. Maritoni Cruz, Digital Strategy Head for Branded Entertainment at ABS-CBN Corporation; Ms. Megan Cabalcar, Marketing Manager of Berde Eats; Mr. Giancarlo Gallegos, CEO and Founder of Experience Philippines, and last but definitely not the least, Mr. Mark Anthony Combe, Miss Universe 2018 Catriona Gray’s stylist. Are you sold to go because of the speakers? Catch them soon on the 11th!